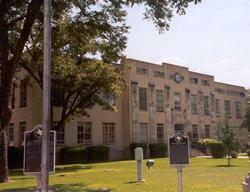 Kimble County TX history, towns, courthouses, jail, old maps, hotels. 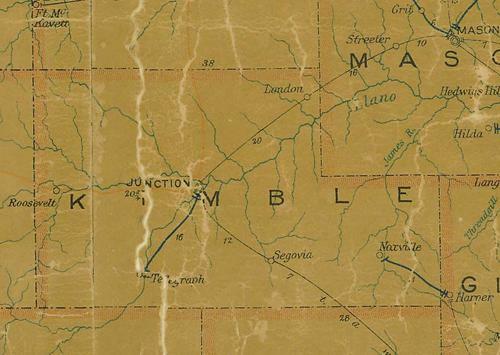 Jumano and Apache Indians inhabited region when Spanish explorers traveled across it in the 17th and 18th centuries, and were displaced by the Comanche tribe by the mid-19th Century. 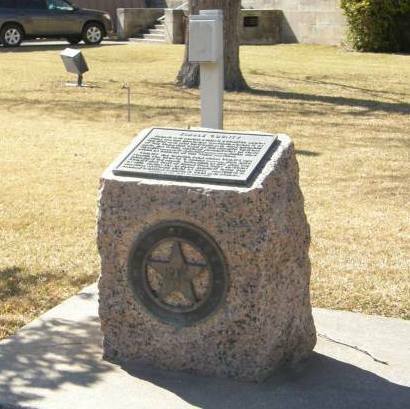 Area was under military jurisdiction of Forts Terrett (1852-54) and McKavett (1852-59,1868-83), which were aided in defense by the Texas Rangers. 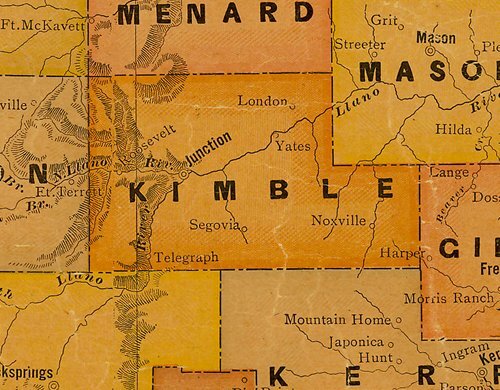 County was created from Bexar County, 1858, named for George C. Kimble (1810?-1836), who died defending the Alamo. 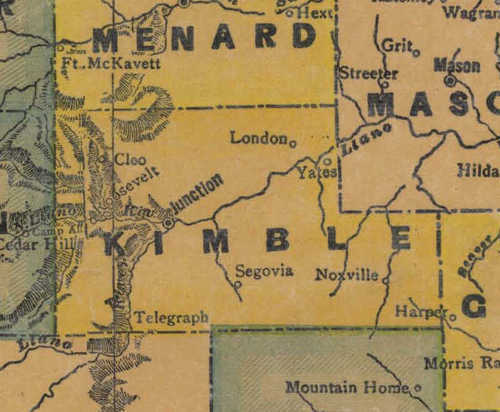 Organized in 1876, with the county seat first at Kimbleville, then Junction in 1877. 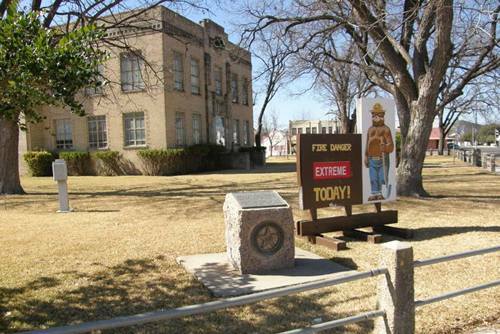 Haven for lawless element until the Rangers restored peace in 1880s. Ranching is primary industry, producing wool and mohair.